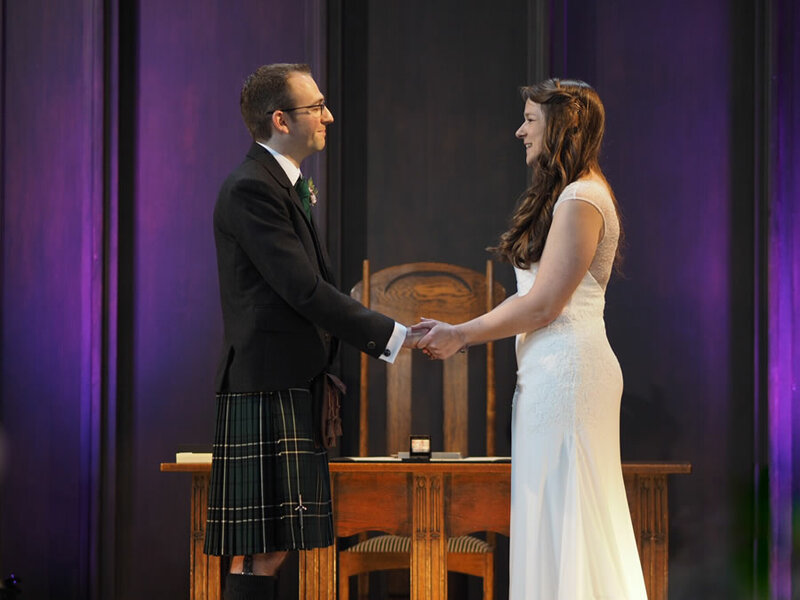 Mackintosh Queen’s Cross makes the perfect setting for your Wedding Ceremony. This hidden gem is the only church designed by the celebrated Scottish architect, designer and artist, Charles Rennie Mackintosh. 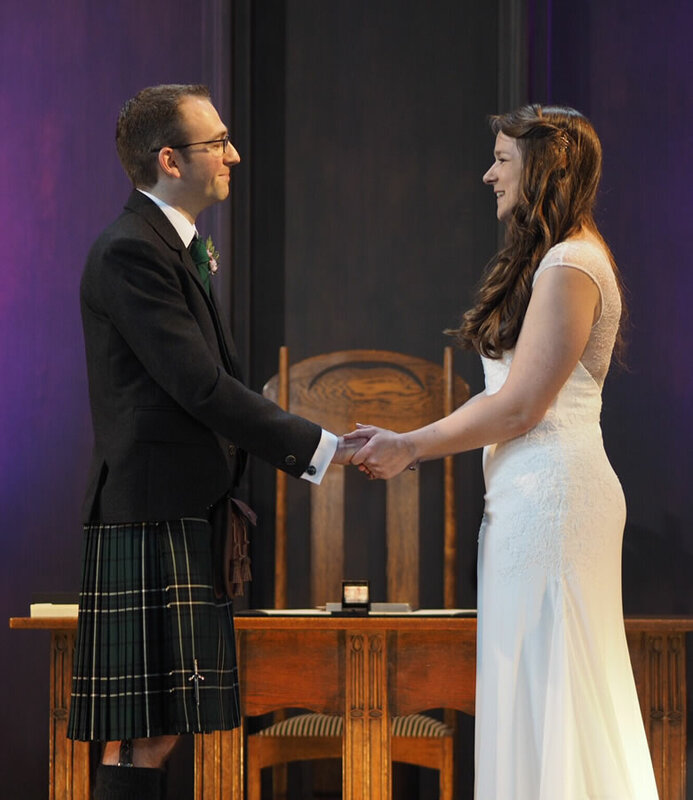 Mackintosh Queen’s Cross is truly a unique building, offering a stunning backdrop for your special day. Here, the simplicity of the design is inspiring. 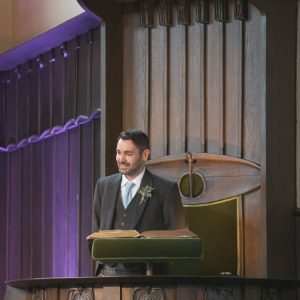 As an added bonus we can also offer a unique partnership with House for an Art Lover making your day extra special by having the ceremony at Mackintosh Queen’s Cross, followed by the reception at the House. Mackintosh Queen’s Cross is not licensed for Civil (Registrar) ceremonies. 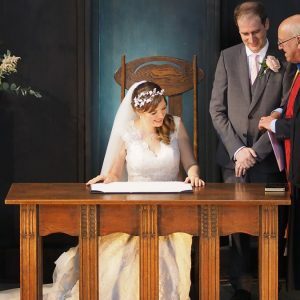 As with all weddings, couples are required to contact the Registration Office at Park Circus, a minimum of four weeks in advance of the wedding date. 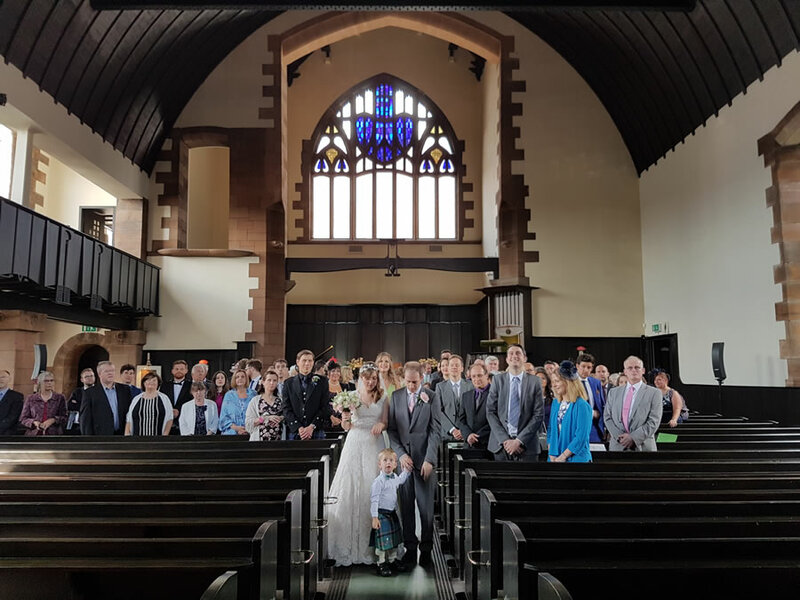 We’ve held weddings at Mackintosh Queen’s Cross from an intimate family wedding for 12 guests, up to formal weddings of 200 or more guests. 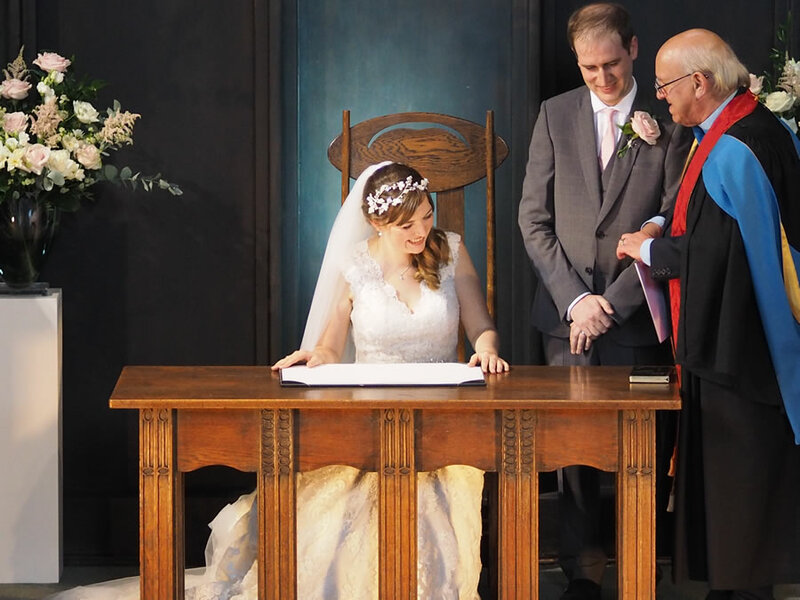 The weddings we’ve held recently tend to be in the region of 60 – 120 guests. Exclusive hire of the Mackintosh Queen’s Cross costs from £850. 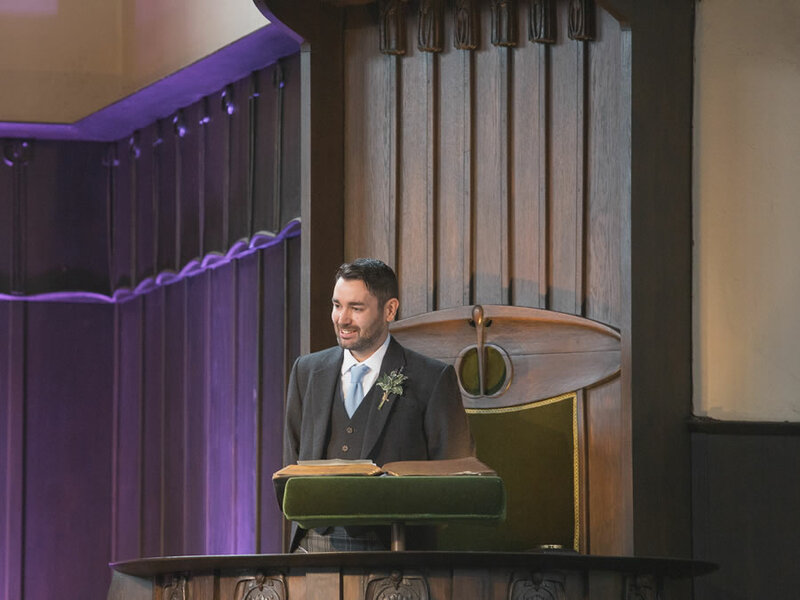 Additional charges apply for the use of the Mackintosh Hall, please contact us to discuss your requirements. It is possible to have exclusive use of Mackintosh Queen’s Cross on a Saturday. Other days of the week may be available with sufficient notice. Please contact us to discuss the availability of your preferred date. 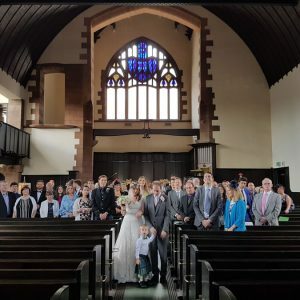 Mackintosh Queen’s Cross is the perfect venue for your wedding – most couples then choose to have their guests taken by coach to their preferred reception venue (House for an Art Lover provides the perfect Mackintosh reception venue). 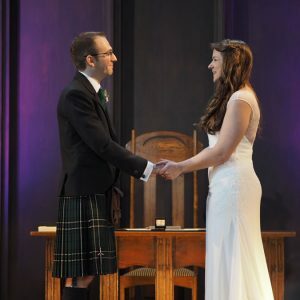 Dependant of the size of your wedding, it may be possible to host a drinks reception in the Mackintosh Hall, prior to your departure for the reception venue. As a Category’ A’ Listed Building we do need to ensure that the fabric of the Mackintosh Queen’s Cross is not adversely affected by its use. However, we make every effort to ensure that you have everything in place to create the desired atmosphere for your special day. We can accommodate flowers, pew ends, candles and other decoration, subject to agreement.